My Turn on the Quietfire Creations blog today... Don't forget to comment on both projects over there. And I'm using one of the newest stamp sets "Perhaps They Are Not Stars"
What a beautiful sentiment and card. It's Memorial Day here, so this is very fitting today. Wow! Everything about this card is awesome! 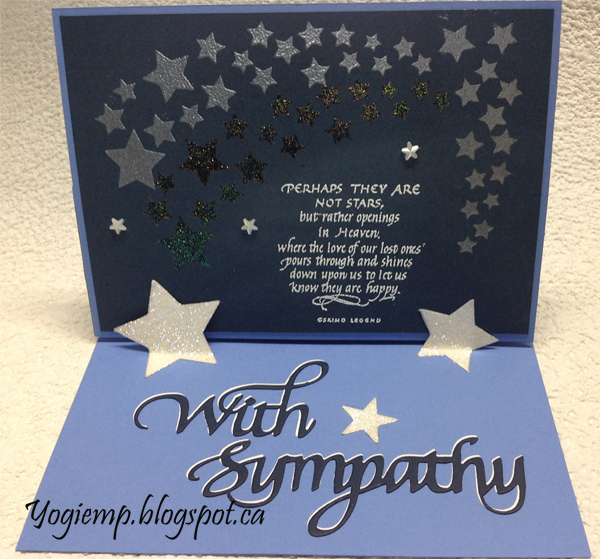 Beautiful sympathy card!! Thanks for playing along with us at Tuesday Throwdown! this card is beautiful. I love the two toned stars and the easel card fits perfectly. Thanks for joining us at The House that Stamps Built! This card is beautiful. I love this comforting sentiment. Great job! What a fun card ! 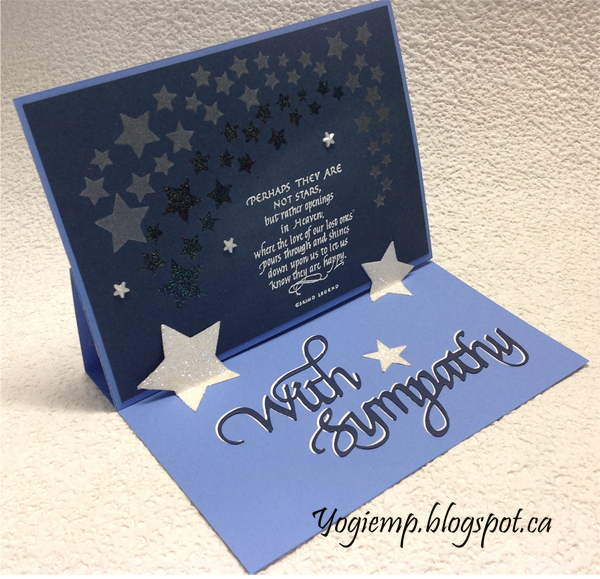 (As fun as a sympathy card can be, I mean) I love your sprinkling of shimmery stars! Thanks for playing with The House That Stamps Built.